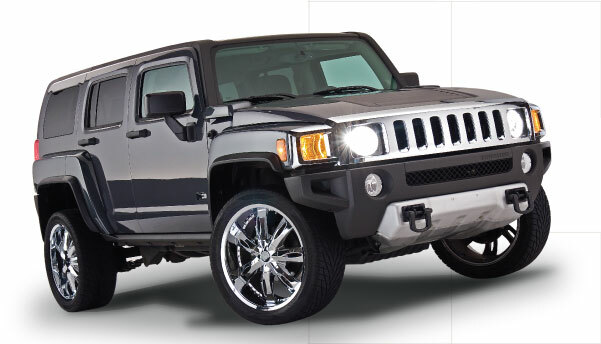 The Hummer H3 was a crossover SUV/Sport Utility Truck from General Motors' Hummer division introduced in 2005 based on the GMT355 underpinning the Chevrolet Colorado and GMC Canyon compact pickup trucks. Produced at GM's Shreveport, Louisiana factory and the Port Elizabeth plant in South Africa the H3 was the smallest of the Hummer models, and the first to be built by GM. It was available either as a traditional midsize SUV or as a midsize pickup known as the H3T.